Whatever diet you choose, regardless of the intricacy, is doomed to fail if you aren’t drinking enough water. A diet dependent on your blood type might seem overly complex compared to a diet, for example, that just requires you to cut out almost all carbs. On the other hand, an ultra-low-carb diet might seem incredibly convoluted compared to the grapefruit diet. That diet calls on you to eat grapefruit almost exclusively for a few days or weeks. However, all of these diets, regardless of their intricacy, are doomed to fail if you aren’t drinking enough water. That’s according to Dr. Thomas Chi, a urologist at the University of California San Francisco. Chi told Business Insider that the biggest mistake any dieter can make is focusing so much on their new eating plan that they neglect their water intake. These high salt levels may be particularly problematic for meat-rich diets. A lack of water, combined with an increased intake of meat, can lead to complications like kidney stones, Chi says. Your body, however, has a natural way to tell you that you need hydration: thirst. Chi’s point — that dehydration puts people at risk of sabotaging their healthy eating plans — is valid, according to research. People who don’t drink enough water can quickly become dehydrated. Thirst is easily interpreted as hunger. That pang can lead you to eat a snack, when really all you need is a sip of water. “Successful weight loss consists of a plan of action that accesses where you are, accesses where you want to be, and how you are going to get there,” Sonpal says. Should water be a part of that plan of action, with just as much emphasis as the foods you eat? “Yes, it is an important part, not just of weight loss, but also of general good health,” Sonpal says. Water alone will not be your weight-loss savior, just as any other element of a healthy lifestyle is not solely responsible for weight loss. This includes exercise or healthy foods. A diet is dependent on a handful of key factors working together. That means water, along with that healthy new diet, just might help you achieve your goals. Ignoring the importance of water could in fact sabotage your plans. 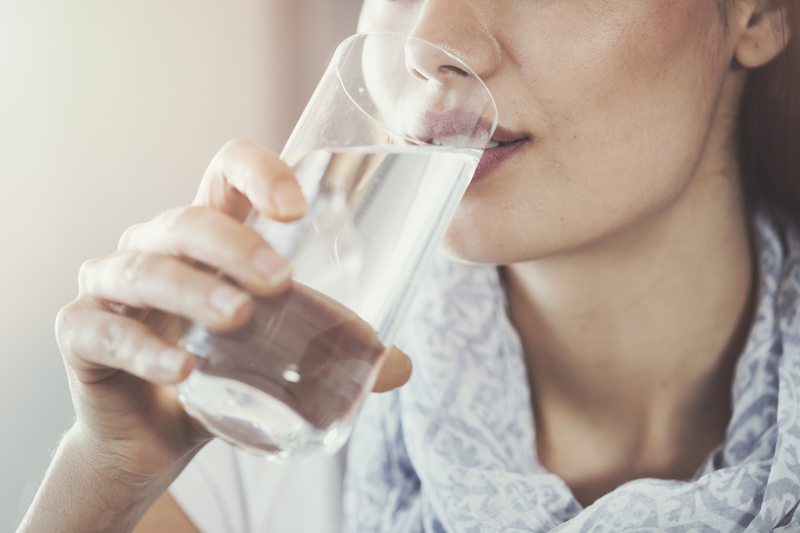 “Water intake is thought to aid weight loss by increasing fat metabolism and decreasing feeding,” Dr. Chirag Shah, a board-certified emergency medicine physician and an assistant professor in emergency medicine at Rutgers University, told Healthline. A 2016 study of more than 18,000 middle-aged and older adults found that individuals who drank more water were consistently more satisfied (i.e. not hungry). As a result, they ate fewer calories on a daily basis. That same study found that people who were steady water drinkers consumed less cholesterol, fat, and salt as part of their daily diet compared to people who were dehydrated or didn’t drink enough water. A 2010 study found that people who drink water immediately before a meal actually have greater weight-loss success than people who do not drink water. That, the authors suggested, may be because the water has a filling effect and helps people eat less. Water is also a “freebie” for dieters. In other words, it adds no additional calories, sugar, carbs, or fat to the daily totals, unlike many other drinks including sport or energy drinks. “[Water] helps substitute other drinks that could be adding unnecessary amounts of sugar and sodium into your diet,” Sonpal says. You don’t have to wait for thirst to tell you it’s time to drink. Staying hydrated can have many health benefits, from your skin to your brain. It’s smart to sip — and often. If you can’t remember to drink water, your phone can — or at least it can remind you. “One strategy that I’ve told patients to help them remember to drink a glass of water at various times during the day is to set an alarm on one’s mobile device to go off in one to two hours,” Shah says. “When the alarm rings, it is time to drink a glass of water.” Repeat the process every day until drinking water becomes a habit. If you feel a pang that suggests you’re hungry, try a glass of water first. Then wait 15 minutes. If you’re still hungry, you’re probably actually hungry. If the water satisfied you, your body was just telling you it needed a sip. Drink some more. Your body will appreciate it. Adequate water consumption is as important to achieving your weight-loss goals as a healthy eating strategy. Drink water regularly and listen for cues from your body asking for a sip. Water takes a few minutes to actually hydrate your body when you drink, but water quenches your thirst almost immediately. Sip before you snack to keep your calorie counts down. You’ll be one step closer to your weight-loss goals. Does Netflix’s Sabrina reboot live up to the hype? October 26, 2018 Comments Off on Does Netflix’s Sabrina reboot live up to the hype?